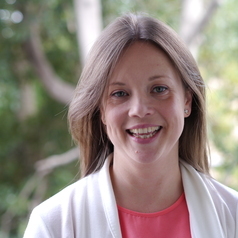 Dr Lisa Mundy is a research fellow at the Murdoch Children’s Research Institute. She completed her PhD in Psychology at Cardiff University in the UK and is a Developmental Psychologist with expertise in lifecourse epidemiology. She also has experience in developing strategies for participant and community engagement, and translating research outcomes into service delivery improvements. Lisa’s primary research focus is on understanding the psychological, behavioural and biological underpinnings of mental disorders, with the ultimate goal of developing innovative approaches to prevention and intervention. She also has a particular interest in biological influences on emotional and cognitive development. Currently, Lisa is the Project Manager of the Childhood to Adolescence Transition Study (CATS). This is a large longitudinal cohort study following over 1200 children, and their parents and teachers annually with the aim of improving our understanding of child health, emotional development and school engagement in late childhood.